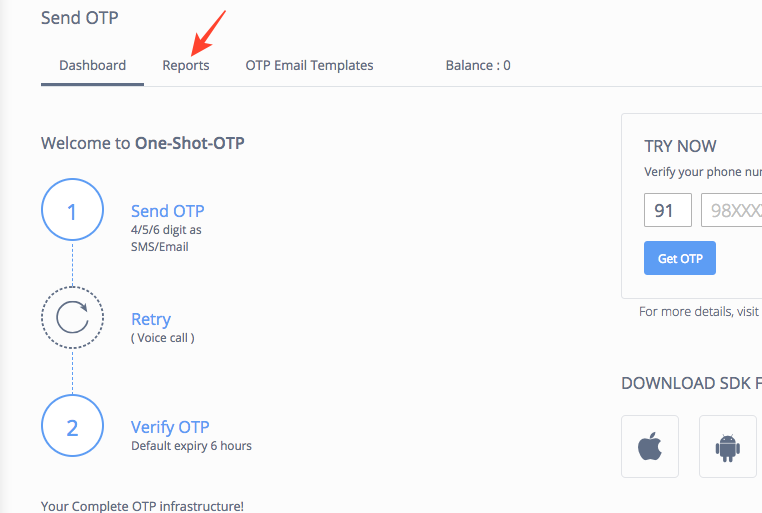 Where to find SendOTP Reports? 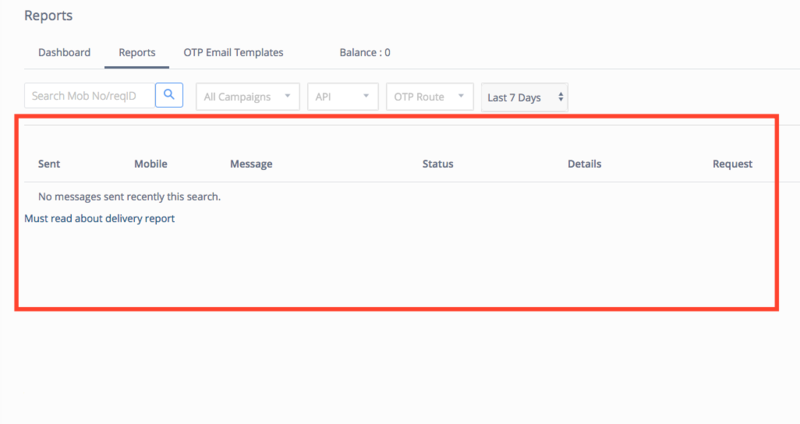 Login into your MSG91 account, select SendOTP on the left-hand sidebar. Go to the Reports tab.